Adorable Easter dog collar! 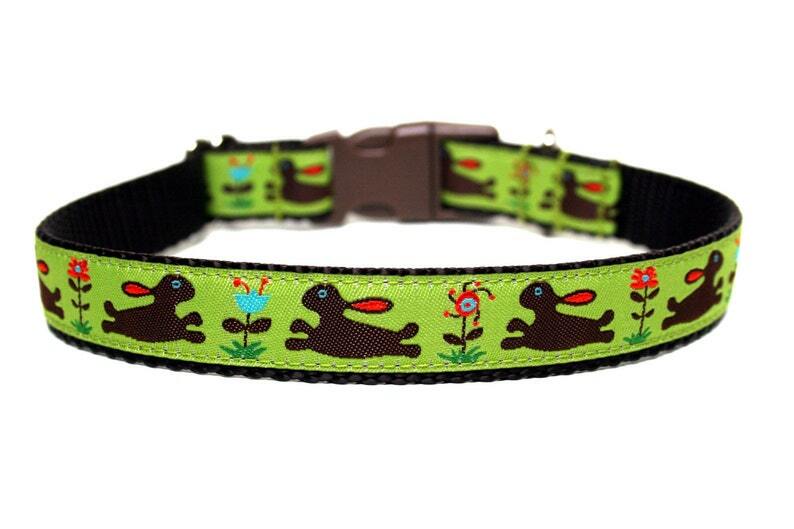 This bunny dog collar is made with brown webbing, a green background with brown bunnies hopping in a field of flowers! Perfect for spring for boy and girl dogs! 1" polka dot bunny collar available in my shop! This listing is for a side release 3/4" bunny dog collar. Please indicate which size you would like...note that all sizes in this spring dog collar has 3/4" hardware. Please allow ribbon variations on your collar, the pattern maybe slightly different. *A special thank you to Louise and handsome Tony for the photo!